Since CPS first publicly floated the conversion in April, critics have protested the perceived role of upper-income, predominantly white residents in drafting the plan—and in setting the district’s agenda in the area. Now, emails obtained by the Weekly shed new light on the history of the plan for a new South Loop neighborhood high school. But the new high school has supporters—many in Chinatown, where residents have endured decades of underinvestment and aging infrastructure. For Chinatown students, that has meant commutes out of the neighborhood and limited language services, leading many neighborhood leaders and residents to support the plan. “People have been waiting generation after generation” for a high school near Chinatown, said Debbie Liu, a Chinatown community organizer. The neighborhood’s high schoolers are currently zoned to either Tilden High in Canaryville or Phillips Academy in Bronzeville, but the neighborhood school that most students attend is Kelly High, a twenty-five-minute bus ride down Archer Avenue in Brighton Park. Its limited Chinese-language services are the best CPS offers in the area. Liu, who works with the Coalition for a Better Chinese American Community (CBCAC), attributed the long delay to a “perfect storm” of social factors. Immigrants—who in many cases have arrived recently—make up nearly seventy percent of the neighborhood, and aren’t always familiar with the ins and outs of city government. Local government, for its part, isn’t intimately familiar with the community’s needs. The CBCAC, then called the Coalition for a Better Chinatown, was created in 2001 by four neighborhood nonprofits to advocate for a single city, county, state, and Congressional district for the Chinese community—eventually leading to the 2016 election of State Rep. Theresa Mah, the state’s first Asian-American legislator. The CBCAC’s organizing also played a key role in winning Chinatown’s new branch library and Ping Tom Park’s fieldhouse, now-popular public amenities that the city had been slow to take action on before the organization got involved. Though residents had felt the need for a neighborhood high school since at least the 1970s, community organizers increased their efforts in 2013, when CBCAC, the Chicago Metropolitan Agency for Planning (CMAP), and 25th Ward Alderman Danny Solis’s office began work on the Chinatown Communnity Vision Plan. In discussions around the plan, residents articulated the need for better public services: the new library facility, the improvements to Ping Tom Park, and a high school. Hopes were heightened in December 2016 when CPS included a “New Southside High School” in its 2017 capital budget—location TBD. As a consequence, South Side neighborhoods seeking better educational opportunities were uneasily pitted against each other. The top contenders were reportedly Chinatown, Englewood, and Roseland, though Englewood clearly had the edge—four months earlier, WBEZ had published an internal CPS budget file showing that the district intended to build a “New Englewood Area” high school, though it denied at the time that projects were final. After months of speculation and behind-the-scenes discussions—during which CPS said it was considering “community feedback”—Englewood was confirmed as the site of the new high school building in February 2017. That set into motion a process resulting in Chicago’s first school closings since 2013, when Mayor Rahm Emanuel infamously shuttered fifty, mostly on the South and West Sides. In an unrelated press conference, Emanuel referred to the plan as part of a “holistic” strategy to fight crime. As far as CPS was concerned, its Englewood plan meant that other South Side neighborhoods hoping for a new public high school would have to find less capital-intensive alternatives. Separately, Chinatown residents and leaders had been meeting for three months with district higher-ups, including then-Chief Education Officer Janice Jackson, now CPS’s CEO. Before CPS suggested NTA, community members had considered multiple sites for a new school building, said Chinese American Service League executive director Esther Wong and Pui Tak Center executive director David Wu, both of whom recalled the discussions. In March or April, according to Liu and Wu, CPS started pushing for another plan: they, along with the greater South Loop and parts of Bridgeport and Bronzeville, could take over NTA, a high-performing, mainly Black neighborhood elementary school on Cermak Road, just across CTA and Metra tracks from Chinatown. Soon after, CPS announced it would draw new boundaries for the expanded campus of nearby South Loop Elementary School (SLES) that cut deep into NTA’s. CPS didn’t explain at the time that the change would leave NTA with just seven students, effectively clearing it out. Chinatown leaders were initially wary of the proposal to convert NTA, Wu told WBEZ last July. But after multiple meetings, many community leaders were convinced that the CPS plan was their only hope. “We don’t have the additional dollars to build a brand new high school every time there is a lack of quality seats in an area,” Jackson memorably told DNAinfo in an interview. Despite reservations about CPS transparency and community engagement, CBCAC and the Pui Tak Center now back the proposal. After hearing hours of testimony in opposition, the Board of Education approved CPS’s proposals to convert NTA and consolidate four Englewood high schools in late February. Under the terms of the plan, NTA’s students will be transferred to SLES, whose new $60 million Dearborn Street campus opens next year and where low-income students are currently in the minority. Like NTA, SLES holds a Level 1+ rating, CPS’s highest. The merger will be part of the SLES’s transformation into a three-campus K-8 with one of the largest student populations in Chicago. Current principal Tara Shelton, who attended the Urban Education Program at the University of Illinois at Chicago alongside Jackson, will remain at the helm. Multiple sources for this story, including former NTA principal Amy Rome, said that the issue of overcrowding at SLES—which became the impetus for its eight-figure campus expansion—was complicated by Shelton’s decision to admit an unknown number of students from outside SLES’s boundaries to spots that could have served neighborhood children. At a June 2017 meeting between Jackson and NTA representatives, Jackson told NTA Local School Council Chair Elisabeth Greer that she had directed Shelton to end the practice, Greer told the Weekly in an email. Neither CPS nor Shelton responded to requests for comment. NTA’s supporters, including the Chicago Teachers Union (CTU), have mounted nearly a year of opposition to the plan, packing public hearings and protesting the politicians involved—chiefly Emanuel and 3rd Ward Alderman Pat Dowell. “I don’t think it’s anger about the idea of building a new high school,” said CTU Vice President Jesse Sharkey. CPS’s guidelines for school actions don’t require CPS to assess community-proposed alternatives, or to make disclosures about any non-public meetings or discussions that lead to a school closure. And CPS has consistently maintained that the NTA proposal was strictly a proposal, suggesting some openness to alternatives. As late as April 2017, when CPS announced the planned expansion of SLES’s boundaries, district spokesman Michael Passman told DNAinfo that CPS would “work on a plan to strengthen” NTA. But emails obtained by the Weekly show City Hall and CPS officials discussing a possible high school at NTA—beginning almost three years ago—with key members of at least one community group: the Prairie District Neighborhood Alliance (PDNA), a community organization based in the South Loop’s most affluent blocks that has played a significant role in recent South Loop capital projects. As the Weekly reported last June, members of the PDNA have long supported locating a high school on the NTA campus. In 2009, PDNA Vice President John Jacoby advocated for a previous SLES-NTA merger scheme that would have phased in a high school at NTA. That plan didn’t move forward due to community opposition—including from Dowell, who defended NTA at the time. Now, emails obtained from the city and CPS show that as early as April 2015, both Dowell and PDNA representatives advocated for CPS to locate a neighborhood high school at NTA. Those initial proposals did not specify, as CPS’s final plan does, that NTA would retain no lower grades. Wendell Phillips Academy, the South Loop’s zoned neighborhood high school, is an under-enrolled Level 2 school whose student body is ninety-seven percent Black and ninety-five percent low-income. The school is located on Pershing Road, which some South Loop parents feel makes for an unfeasible commute from their homes. “Phillips as our high school doesn’t work,” Jacoby told the Weekly last year, saying that he wouldn’t send his own children there. In response to a query last week, Jacoby noted that he and other PDNA officials had explored other potential sites for a South Loop neighborhood high school over the years, including the old Jones College Preparatory building on State Street. Jacoby said that he did express that he felt SLES parents would oppose “suddenly” moving their sixth through eighth graders to a new campus, as they felt it would cause “disruption” in “critical years for high school applications.” All his discussions about the NTA campus over the years, he wrote, have included the possibility of retaining some middle school grades at the school and would have maintained the same boundary for NTA and SLES. In a January 2016 email, Dowell assured NTA principal Isaac Castelaz that, though she had “heard of” proposals to convert NTA into a high school, it wasn’t “a real plan at this time”—despite having made her own proposal to involving a high school there to Emanuel and Byrd-Bennett nine months previously. A follow-up query from Castelaz—“Is it something you foresee as a possibility in the future?”—apparently went unanswered. “I just don’t recall why I used that,” Jacoby said of the email’s subject line. As late as June 2017, Dowell was still publicly “reserving judgment” on the conversion of NTA. The same month, Jacoby forwarded Dowell an NTA parent’s op-ed, published in Crain’s Chicago Business, that called the proposal “strategically designed to respond to the racialized fears that continue to define this city’s politics.” “Here is the BS argument we will be facing,” Jacoby wrote to the alderman. Other emails refer to discussions involving Dowell and PDNA president Tina Feldstein, a South Loop realtor. One email in particular references a promise Emanuel made to Dowell and Feldstein at a PDNA event. “The Mayor said to the President of the Prairie District Neighborhood [Alliance] he would work with me to bring a neighborhood high school to NTA,” Dowell wrote in April 2015. That promise came two months after Feldstein introduced Emanuel at a separate 2015 visit to South Loop Elementary. In 2016, the city allocated the first round of Tax Increment Financing (TIF) funding for SLES’s state-of-the-art new campus at 16th and Dearborn—initially pegged at $9 million, that funding has now hit the $60 million mark. Emanuel made another visit to SLES shortly after that first TIF allocation, attending a May 2016 parent meeting. Opponents have objected to the use of extra taxpayer funds that they feel will disproportionately benefit better-off South Loop residents—especially given that the intended purpose of TIF is to combat “blight.” All TIF funding for this project has come from the River South TIF, which captures the incremental property taxes of a small but dense corner of the NTA attendance boundary. Jacoby was not involved with the SLES expansion, although PDNA members have been involved with other TIF-backed development in the area. In the course of discussions with Metropolitan Pier and Exposition Authority (MPEA) head Jim Reilly, email records show, Dowell named both Jacoby and Feldstein to an advisory committee on the MPEA-backed Wintrust Arena, a major South Loop TIF project. She forwarded him Byrd-Bennett’s email, she said, to confirm that he was the meeting participant whom Byrd-Bennett described as “very clear” that South Loop Elementary students wouldn’t attend NTA. “I’ve had a number of conversations with various groups, including PDNA,” said Dowell, mentioning meetings with condominium associations, conversations at town halls, and outreach through her newsletter. “I always reach out to my constituents when I’m dealing with major issues.” Dowell said she did not discuss the NTA proposal with community groups before it was made public. According to Rome, then NTA’s principal, Jacoby supported the original version of the 2009 merger proposal, which members of the NTA community found to be inequitable. That proposal would have co-located South Loop Elementary in NTA’s building, and initially entailed separate entrances, exits, mealtimes, arrival and departure hours, and administrative staff. Over the years, PDNA members have also helped reshape SLES, a high-performing K-8. Jacoby, a former SLES parent, founded a fundraising nonprofit for SLES before joining PDNA—one of about forty such nonprofits in the city. 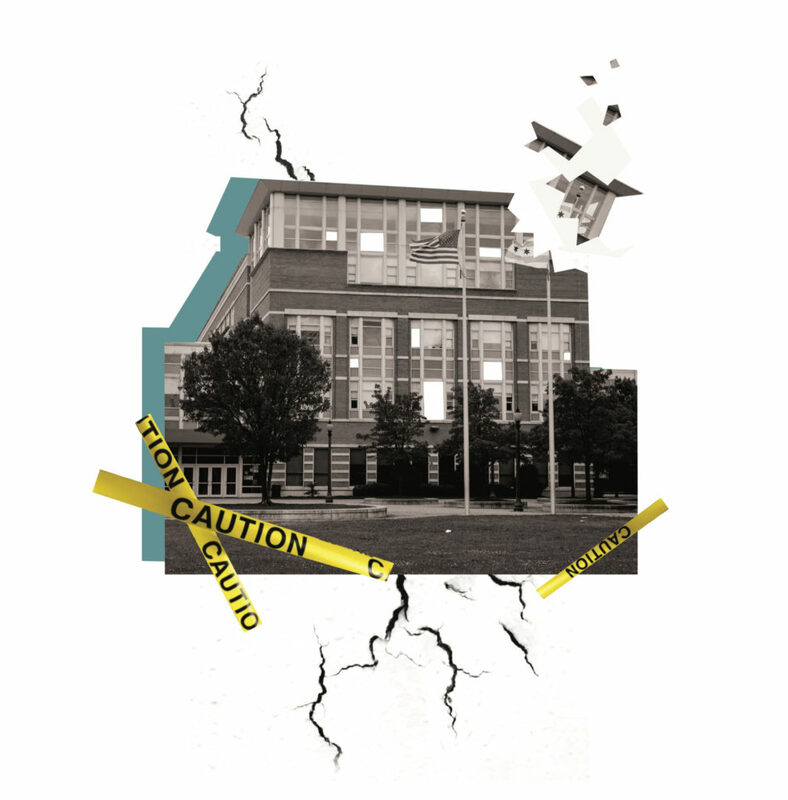 At schools like SLES and others, top-tier fundraising can mean extra teachers’ aides or smaller classrooms, and is responsible for much of the school’s financial success: “Parents treat us like a suburban school,” SLES principal Shelton told Crain’s in 2012. That fundraising was made possible by a demographic transformation that radically reshaped the school. Most of that change took place across a three-year period, when the proportion of low-income students attending SLES fell from ninety-one to thirty-seven percent. The influx of new families to the South Loop made a CPS-directed turnaround possible: top staff, including then-CEO Arne Duncan, pled with certain South Loop families to enroll their kids in the school. Many of the plan’s opponents also question CPS’s capacity estimates for the planned high school. Although the final proposal guarantees all current NTA students a seat at the planned neighborhood high school, parents and speakers at CPS town halls have challenged the district’s demand estimates for neighborhood seats at both the new SLES and the high school. The updated plan could have helped cement the action, on CPS’s terms, as a boundary change rather than a closure. The CPS definition of a closure—“closing a school and assigning all of the students enrolled at that school to one or more designated receiving schools”—would have fit CPS’s initial proposal more closely than the newly planned phase-out. Classifying the action as a closure would have forced CPS to adhere to more restrictive guidelines: in general, unless enrollment is zero, closure or consolidation must come at the school’s own request—and, as CPS learned in 2013, closures invite more publicity than mergers or boundary changes. Throughout the recent closure debates—and through much of its recent history— CPS has faced criticism for limited transparency and questionable public engagement with low-income communities of color. Five days before the Board of Education voted to approve both the NTA and Englewood plans, for instance, the Sun-Times reported that the West Englewood Coalition, a vocal group of CPS supporters who showed up in matching uniforms to public hearings for the Englewood proposal, was founded as a nonprofit only last November in south suburban Homewood. That investigation also found that Dori Collins, a key member of the Englewood Community Action Council—the volunteer group that ostensibly came up with the plan—is a longtime CPS vendor who had collected a lifetime six-figure sum from the agency. Collins was awarded a $15,000 contract from CPS while it was reviewing proposals for the Englewood school. Some of the proposal’s supporters echoed that concern. “This conversion had to have been in the works for a while,” Liu said. “If they had developed an agenda together, with all the people at the table at the same time,” she said, CPS might have been able to avoid the current conflict. Per district policy, CPS retains independent hearing officers to assess school actions, including boundary changes and closures. The hearing officer, typically a professional arbitrator, ostensibly acts as a check on the process. But the officer answers to CPS’s CEO—not to the public. The hearing officer is nominally chosen by CPS’s CEO. Neither CPS nor Francis Dolan, the hearing officer for the NTA conversion, responded to queries on whether Claypool or Jackson initially picked him for the case. Dolan, a retired Cook County judge, has worked as a hearing officer since at least 2013, when he was retained by then-CEO Byrd-Bennett to hear cases for some of its fifty closures that year. As a CPS contractor, Dolan has outlasted CPS heads Byrd-Bennett and Claypool, who were ousted by successive ethics investigations. Under Byrd-Bennett, Claypool, and now Jackson, Dolan has found CPS in compliance with its own regulations in all ten of the school actions for which his reports have been made available by CPS—including more than one contested school closure. Dolan’s report to the Board, issued three weeks prior to the vote, found CPS to be in full compliance with both its boundary change policies and its public comment guidelines. NTA supporters at the hearing objected to CPS’s classification of the plan as a “boundary change,” not a closure, a move that subjected the agency to less stringent rules. Some expressed dissatisfaction with a process whereby CPS hand-picked an arbiter to approve its compliance with guidelines the agency itself had established. Dolan did not respond to queries about the number or outcome of past hearings he had adjudicated. Liu, Sharkey, and several speakers at CPS hearings also raised the issue of perceived “rubber-stamping” by Chicago’s appointed school board. Since 1995, during Richard M. Daley’s tenure, the mayor has selected Board of Education members and CPS’s CEO directly. Chicago is home to the only appointed board in the state and sits in a tiny minority of appointed boards nationwide. A series of legal and legislative challenges to the practice have failed or dead-ended, although education nonprofits such as Raise Your Hand and a sizable minority of city and state officials and candidates—including South Side Progressive Caucus aldermen Toni Foulkes (16th), Susan Sadlowski Garza (10th), David Moore (17th), Ricardo Muñoz (22nd), and Roderick Sawyer (6th), among others; Daniel Biss, Chris Kennedy, and J.B. Pritzker, the three leading Illinois Democratic gubernatorial candidates; attorney general candidates Aaron Goldstein, Pat Quinn, Kwame Raoul, and Jesse Ruiz; and dozens of state legislators—continue to advocate a switch to an elected school board. The Board rarely votes against CPS proposals—the Weekly could not find any Board votes rejecting a CPS action under Emanuel’s tenure—and CTU staff, including its research team, were not able to recall any instance of the Board rejecting a CPS action on the basis of racial or economic inequity, in response to queries from the Weekly. The CTU, NTA advocates, and other CPS critics portray the NTA plan as symptomatic of a wider pattern: one in which CPS choices on construction and boundaries have exacerbated segregation. A 2016 WBEZ report found “little effort” by the district to get middle- and upper-income white students into nearby underutilized schools—and evidence of a CPS preference to build new schools instead. Sharkey tied contemporary underinvestment to historical, overt segregation, and to CPS’s policies of more recent decades. In recent weeks, the plan’s opponents have rallied—often with communities fighting the Englewood closures—outside Emanuel’s Lakeview home and at the Board of Education. NTA has picked up prominent supporters along the way, including Chicago icon Chance the Rapper, who was at one point slated to make an appearance at the school. Chance and others have connected the school closure fights to other city spending, particularly the new $95 million Chicago Police Department training facility the city plans to build in West Garfield Park. Capital outlay on projects like the CPD building, together with CPS ethics crises and financial mismanagement, have contributed to cynicism about what the city says it can and can’t do. Efforts to move forward in the CPS process have been difficult for NTA advocates as well. In October, CPS announced the formation of a steering committee meant to “inform key decisions” as the plan moves along. Wu, Liu, and South Loop organizers sit on the committee, alongside NTA and SLES community members. But without the larger NTA community on board, Liu said, there are limits on how useful the steering committee can be. “I feel like it’s very Chicago to do it this way,” she said. Did you know…the outgoing South Loop Elementary LSC is planning to early renew their principal’s contract through 2023? Did you know that this decision would skirt democracy and block the authority of the incoming LSC? The purpose of a cumulative evaluation is to evaluate the principal’s performance over the entire 4 years of their contract in order to decide whether a principal’s contract should be renewed. The CPS Office of LSC Relations recommends the best practice of empowering the LSC during the final year of a principal’s contact to conduct the cumulative evaluation. By deciding to early renew the principal’s contract, the outgoing LSC is circumventing the democratic process by making this rogue decision. In fact, those present during the LSC meeting where the motion was raised spoke of how the principal actually answered for the LSC members when asked about the timing of this motion. The game is rigged. And NTA students will yet again be harmed by yet another political decision. Reach out to CPS LSC Relations at 773-553-1400 or South Loop Elementary at 773-534-8690 to learn more. I am asking you to please include in your boundaries the Cannaryville neighborhood. We too should have access to a better school for our teens. There is no reason we should not be included. Please include south of 35th . St. Our children do not have a choice. Please include the boundaries to include Canaryville. We also deserve to give our children a better place to learn.